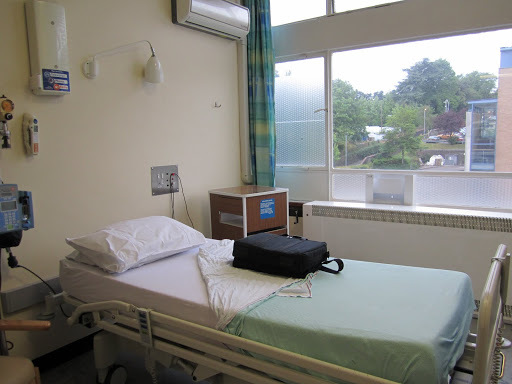 07-May-2011 – good NOT TO HAVE THE FAILING NHS MANAGEMENT! it is 08:30hrs. on Sunday morning and I’m showing signs of recovering from the damage that the utter incompetence of the management of the NHS in Wales was inflicting on me from Friday early evening until yesterday afternoon! I was up on Friday morning after just on 4-4.1/2hrs. sleep and just as I was going to bed again tired I was called into the Royal Gwent just before 20:00hrs. It took around 4 hours to ascertain I had a very low platelet count at 34 when petechiae was plain to see and recognise for anyone trained. It was also then apparent that anti biotics were required and the suggestion of a transfusion was made. The decision was taken to watch and wait on the platelet count and decide based on a new set of bloods in the morning – they were taken and they showed a natural improvement in the platelet count to 39. Due to crass and incompetent management no bed was found and I was forced to spend the night in a standard office chair in a side consulting office! Not unsurprisingly I had no sleep whatsoever. FINALLY more than 12 hours after I had come to The Gwent and the decision was made that I would have to stay a bed was found – that was 24 hours without sleep – not that it was due to unusual sleep times as I had got up at just after 09:00hrs. The medical staff have been great up to Doctor level but then above that in the food chain the system just collapses with more and more management and less and less results. Read the YELLOW CARD and it is clear Velindre take the situation seriously yet clearly the Gwent’s management care little and do less. How can my treatment so far be seen as other than harming my survival chances which are pretty ropey anyway! Eventually a porter is found and off we set on the great trek – what no ox waggon! B6 is the Haematology Ward on the far side of the hospital off of the same staircase (same wing) as Maternity. It looks very appealing after so long without sleep or food! Unfortunately it is not a great deal of use as my petechiae is clearing and really all I want is to see the Consultant get my antibiotics and LEAVE. There is absolutely no way this visit to hospital has been other than damaging to health and clearly as far as management is concerned the service is attrocious. They couldn’t run a bed and breakfast facility let alone a major hospital – it reflects the entire idiocy of the way Government is run with its massive over staffing, obscene feather bedding, Politically Correct crapology and over paying of top end staff – They are CLEARLY not fit for purpose and incapable of doing their job at any price! Even were I staying the inconvenience of considering sleep starts with I have eaten nothing of any substance since Thursday as just as this started I was going for a shower before food and then to bed – That was yesterday afternoon! Further since the room has no door (it is away being fixed!!) 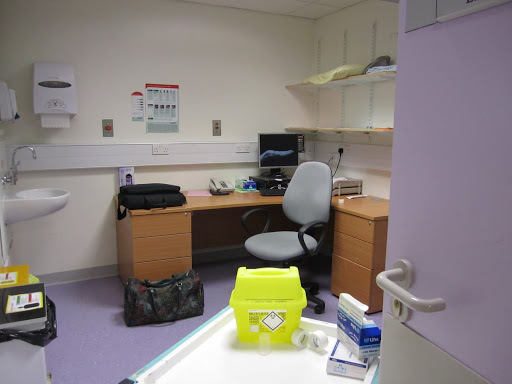 and is off of the main ward corridor – there would be little chance of sleep – particularly in view of the fact that the room is directly above the back road to service the hospital overlooking the dustbin / waste area, which is noisy. You will note also that the sunlight is streaming in and consider how lightweight thin curtains would fail to help! It is now 11:00hrs. and I’m waiting to see the Consultant in the knowledge that the pharmacy shuts at 12:00hrs. until Monday! Do enlighten me in what way can my visit to The Gwent be seen as anything but seriously deleterious to my health! It is no fault of the staff I have seen and it is entirely unfair of their employers to leave them to deal with my very rational and presented anger at such a level of utter incompetence on the part of the management of the NHS in Wales. Is the aim to kill patients to make savings? I still have not seen a specialist in this field – I have seen no Oncologist nor a qualified Haematologist – that the service is so far supplied by variously experienced nurses – whose only ranking is to all look like cleaners in their new and hugely costly uniforms all colour coded for insiders and the hell with the patients! Too simple I guess when EVERY uniform has an embroidered badge showing they are NHS Wales in two languages – I just might have twigged that but what competence are the different colours? This entry was posted in Consultant, Haematology, NHS Wales, Nurse, Wales. Bookmark the permalink. Sounds like this hospital pharmacy could use improved management services.